How would you like to be a Lecturer or Resident Historian on the World’s #1 Cruise Line? How would you like to be an Expert Speaker on an amazing cruise? Past Preservers has teamed up with Viking Cruises to offer our experts a once in a lifetime opportunity! Ever dreamed of travelling to distant countries with flights & accommodation paid for, itinerary planned, food & drink provided, with an option to bring a companion, in exchange for sharing your knowledge with like-minded travellers? 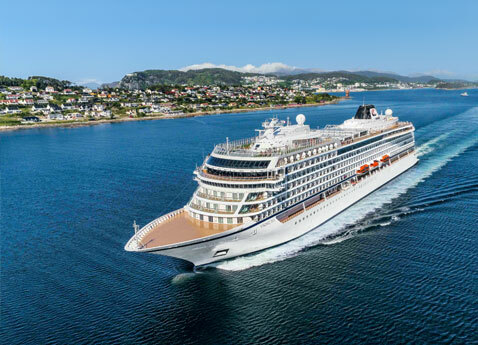 Viking Ocean Cruises are now looking for Resident Historians & Lecturers on-board their ships for the 2019/20 season; cruises vary from 7-21 days and during a cruise they would be looking for you to provide approximately four 45 minute destination related lectures. Their destination enrichment program is designed to enhance the passengers experience whilst on board their ships and has an emphasis on history and art history. If this sounds like something of interest to you, please email casting@pastpreservers.com for an information pack or with any questions you may have. All the best from the Past Preservers Team!